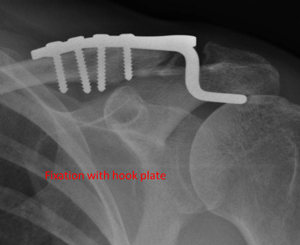 Displaced fracture of the lateral end of the collar bone.This was fixed with a hook plate. 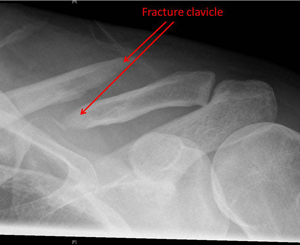 The fracture initially didn’t heal and required a second operation with a bone graft. 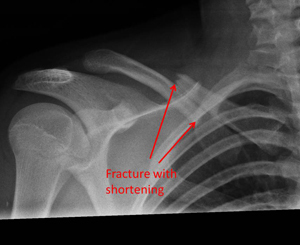 Young patient with a displaced and shortened (overlapping ends) fracture of the collar bone. 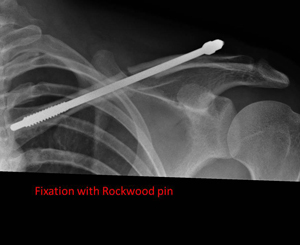 Fixation with a Rockwood pin allows for smaller, more cosmetic incisions. 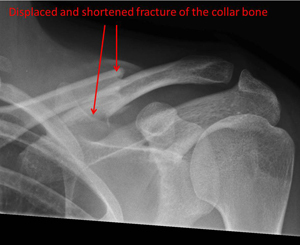 This young patient had a fracture of the collar bone with significantly overlapping ends. 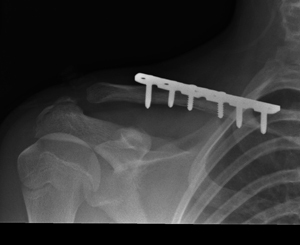 This was fixed with plate and screws under general anaesthetic. 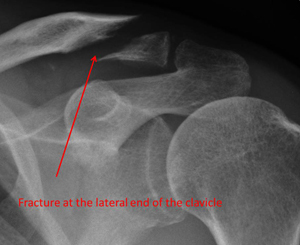 Patient with a displaced fracture in the middle third of the clavicle. This was treated with a Rockwood pin. 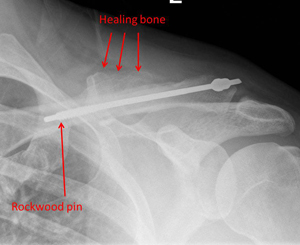 This pin is usually removed once the fracture has healed.